For years, Berklee has bestowed doctorates of music on honorees to address the graduating classes and infuse hope of artistic success to guide their next steps. Ahmet Ertegun, Steve Winwood and Aretha Franklin, are among a few of our favorites followed in the ranks. 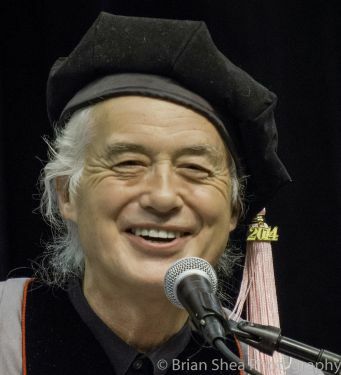 This year, Bluebirdreviews is honored to be in attendance when Jimmy Page, Geri Allen, Valerie Simpson, and Thara Memory will be presented with honorary doctorates in music from Berklee. Bluebirdreviews has posted articles on many bands from New England and around the world. The possibilities for listener exploration through the different genres are endless. As reviewers, we listen to the music first, and ask about roots later. Many of these bands happen to be from the esteemed Berklee College of Music in Boston. Some musicians from the school are shy about their degrees from Berklee. We think they should be proud of their hard work, education and training. The program is rigorous, intensive and releases the artist at the start of their potential. How do we know this? We've been listening to their music and attending their live shows for years. Whether it's pop explosions from Gentlemen Hall, contemporary jazz elegance via Esperanza Spalding, folk rockin with Langhorne Slim, hip-hop Gli, or the experimentalism of Ali Amr, we think the Berklee program has inspired musicians with creativity and freedom. Every Spring, BBR writer, Al Whirly sends in a collection of up to date folk, pop, and indie songs that he thinks are stand outs from the prior year. Sometimes he is right on the money in predicting listener bliss and other times, the spins could very well be a quick frisbee. Let's take a listen to the Whirly picks for 2013. Billsfault is the result of four musicians, with a multitude of musical inspirations, blending together to create one musical sound. This led to Bill Heath stating in an interview that nobody has found a way to categorize them. He calls it original rock with pop, funk, jazz, folk, punk, and alternative influences. (Winston Salem Journal - Relish). Our readers enjoy this band's debut because of its genre blending into a smooth sound that is both easy on the ears and interesting to explore. REM influences are listed on their website, but you can hear Talking Heads and other similar sounds but with a funk-rock-crash in the quips. Funky Red Hot Chili Pepper Flea-like bass sounds come through with vocals holding a slight echo make a really hip vibe. Then there are dreamy acoustic breaks that make the whole song burst from a cloud. Billsfault would be a fun band to see live with their all around decade spanning sound. Let's see what's next! On February 9, 1964, The Beatles made their debut on the Ed Sullivan show. The world is celebrating the impact of this media event 50 years ago today. 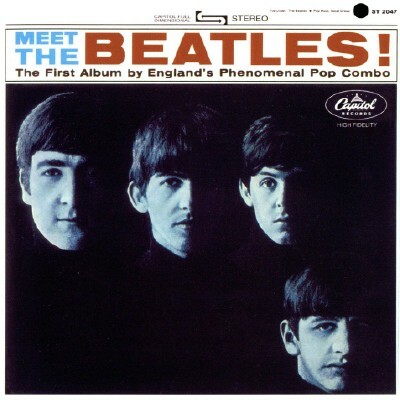 Read more: The World Celebrates 50 Years of The BEATLES! The Moth & The Flame are a band currently based in LA, but formed in Provo, Utah. They are known for their distinctive vocals, and compelling live performances featuring anthropomorphic sculptures of their own creation. They are also creative with their live show sets by transforming venues into moonscapes with floating lanterns and starry nights. Since their beginning in 2011, the band had become local favorites—playing dozens of sold out shows in and around their hometown before relocating to LA. They have made appearances at various festivals worldwide including The Great Escape, SXSW and Midpoint Music Festival. Phil Everly and The Everly Brothers - A Timeless Sound Never Dies. Lou Reed To Be Honored in Tribute at The Iron Horse Music Hall.